Tonight puts 2017 to bed, It has been a pretty strange year with all of the natural disasters nation wide. For me it has been a great year with some strain on us from September until now trying to get things back together after the damage dome by Irma. Things are getting back on track finally, and I'm looking forward to 2018 and hoping that it is a bit better. I just want to wish everyone a very Happy New Year. 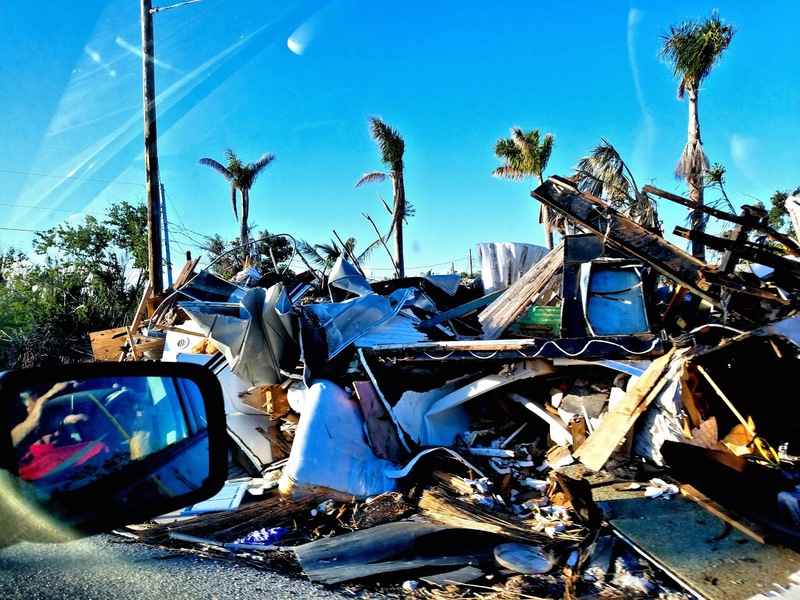 Yesterday, I left Key West for the first time since Hurricane Irma. 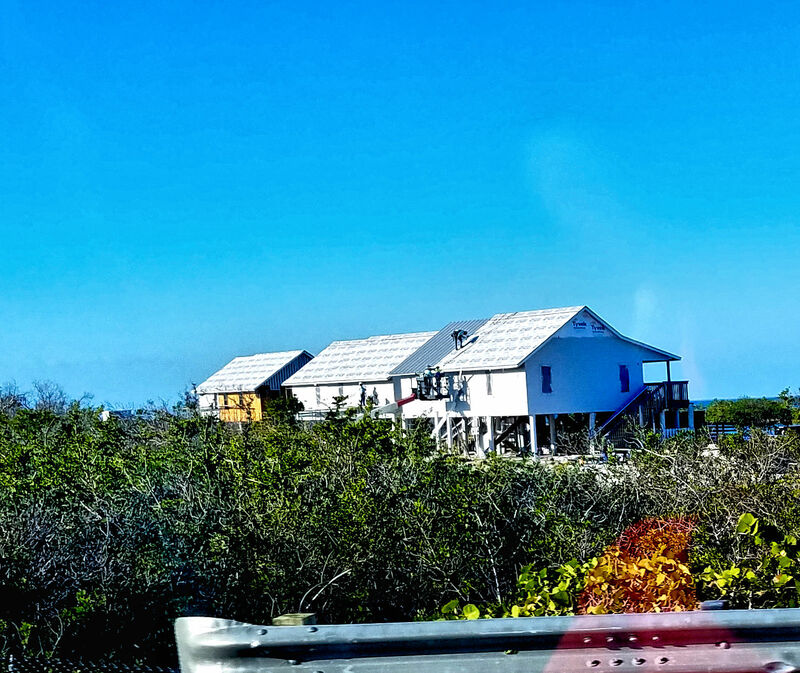 I got a chance to see the massive amount of damage that Irma did in the rest of the Keys. Key West has recovered for the most part from Irma, but the rest of the Keys haven't been Quite so lucky. The area around Big Pine and Marathon are still recovering . The sides of the roads are still covered with debris piled high in many places. There are a number of places where the building of new buildings have been started. 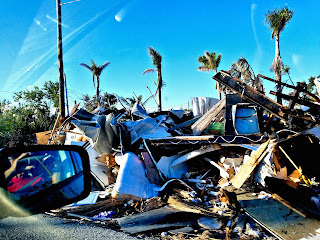 Because of the fast relatively, anyway repairs here in Key West I was a bit taken back by all of the remaining damage and debris that lay along side of the roads. You can see a lot that has been done, but there is still a lot that hasn't been touched as well. 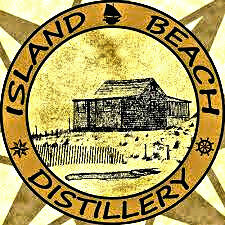 An explosion at the Island Beach Rum Distillery in Lacey Township, New Jersey this afternoon left Peter Martorelli , one of the owners with multiple burns to his body, Police Chief Michael C. DiBella said. 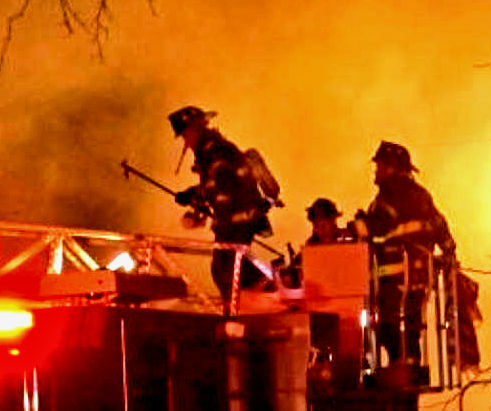 Peter Martorelli, suffered some first- and second-degree burns on his legs and was not severely injured the owner according to his wife and co-owner Tina Martorelli. The business was not destroyed and will be closed for a few weeks, Peter Martorelli said. Tina Martorelli wrote, needless to say we will be closed until further notice. Pete seems to be alright and I'll keep everyone updated as things proceed. Martorelli who specializes in Caribbean style rum, was distilling at the time of the explosion. "I would like to thank everyone for their prayers and support during this trying time," he said. "We will be back and open as soon as we are able." "Upon arrival, officers learned that a distillery within had exploded causing injury to the owner," the chief said. "The 38-year-old male from Forked River was conscious and alert, however sustained multiple burns to the lower half of his body. He was subsequently transported by Lacey EMS and MONOC paramedics to Saint Barnabas Burn Center in Livingston, NJ." The Forked River and Lanoka Harbor fire departments responded and extinguished the blaze. The Ocean County Prosecutor's Office and the Ocean County Sheriff's CSI Unit assisted in the investigation. The Lacey Police Detective Bureau, along with the Ocean County Fire Marshal's Office are on the scene. The incident remains under investigation, according to the chief. Peter Martorelli was fortunate, but this emphasizes the reasons that Distilleries are so carefully regulated for safety. When dealing with very flammable vapors like the ones that are a part of spirit distillation, you have to be extremely careful. The fact that you can not see the flames of an alcohol fire making the issue even more dangerous. This can happen at any still and if you haven't taken proper precautions, it could kill those around. The Last Cocktail for 2017. Here is the final cocktail for 2017, This year has produced a number of really fun and enjoyable cocktails and I hope that this one takes us out of a very rough year for so many of us with smiles on our faces. Enjoy this one. Add all ingredients to a mixing glass with ice and stir to chill. Strain into a coupe glass. Garnish with a lemon twist. Place all ingredients into a pan on high heat and bring to a boil, then remove from heat and cool. Strain off cloves and keep refrigerated. The number of people driving under the influence of alcohol in the US dropped in 2017, according to the results of a poll of more than 5,000 drivers. The poll, conducted by The Traffic Injury Research Foundation (TIRF), found that the number of drink-drivers in 2017 was considerably lower than the previous year. In 2016, the number of drivers who admitted to driving under the influence of alcohol was the highest ever collected from the survey, as was the number of alcohol-impaired driving fatalities. The results of the Anheuser-Busch sponsored study show that the number of fatalities as a result of driving under the influence of alcohol rose between 2014 and 2016, from 9,943 to 10,497. Dr Ward Vanlaar, chief operating officer of TIRF in Canada and a co-author of the study, said: "When asking US drivers why they drove when they thought they were over the legal alcohol limit, our data consistently revealed the number one answer is that they thought they were 'OK to drive'. "Other top reasons include driving short distances, thinking they can drive carefully, and simply not thinking about it. In other words, a lack of appreciation of the dangers associated with this behavior." The poll also revealed a smaller percentage of drivers in 2017 thought they had no alternative to driving after drinking, indicating that drivers are using alternatives such as ride sharing apps and safe ride programs. Vanlaar said: "While there is no perfect correlation between self-reported behavior and its consequences, our early warning system suggests there might be a decrease in alcohol-impaired driving fatalities in 2017." "In this modern, experience-driven on-premise environment, premiumization is evident in all categories, however no category highlights this more than spirits.” "High-end" spirits now account for 55% of total spirits volume and 62% of dollar sales, a 3.2% increase from last year, bringing $807 million to the channel, according to Nielsen. Ultra-Premium Spirits are growing at the fastest pace (+5% in dollar sales). Premium and ultra-premium rum, whisky and tequila have all added to the total spirits growth. In contrast, middle- and valued-priced spirits combined grew less than 1% in dollar sales in the period. A similar trend is occurring in off-premise consumption where sales of spirits are registering good growth. As more consumers shop and buy in different ways and in different places, discretionary categories like adult beverages have to work even harder to be as easily accessible and prominent in the newer channels and retailers where shoppers are shifting to. Continued growth in spirits, the category has overtaken beer for the first time as the most valuable on-premise category." Volume sales of beer struggled the most in the overall alcohol category with on-premise consumption taking the biggest dip over the same one-year period, with off-premise dollar sales of beer increased slightly for the past year. Wine has had a solid year of growth in both on-premise and off-premise channels. France, New Zealand and Italy are the leading import countries, while Oregon is a top performer in domestic wine. Wine is leading off-premise volume gains for at-home consumption. 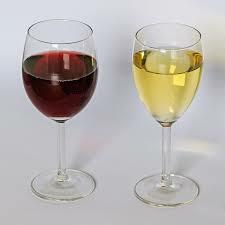 Red wine is also outperforming white in on-premise sales, but red blends have tumbled after several years of rapid growth in off-premise channels. The Nielsen figures cover US spending on alcohol in both the on- and off-trade setting between October 2016 and October 2017. The report found that spirits were the ‘growth leader’ over that period, with sales increasing faster than wine and beer. and the recovery from her damage, but as we approach Christmas Eve and Day, people are climbing out of the lows and beginning to spread some Christmas cheer. 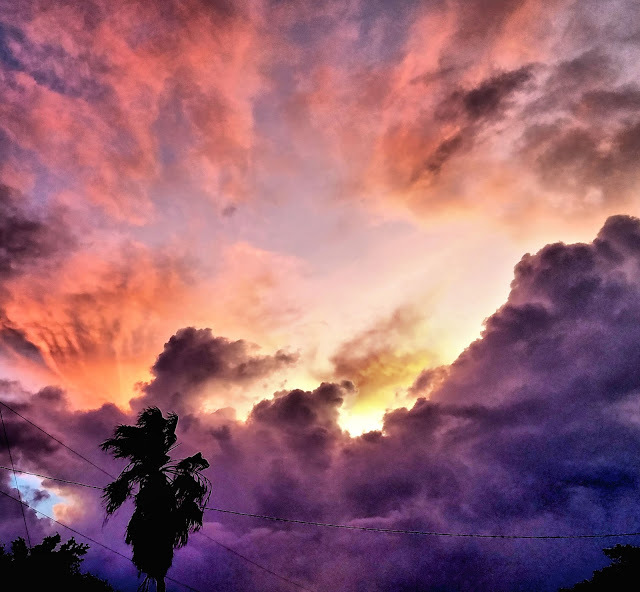 I hope these holidays find you well and on the road to recovery from all of this years disasters of Hurricanes, Tornadoes and devastating fires. Peace on earth and a hope for better times ahead. 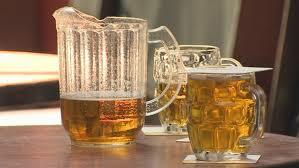 If you think a Lite beer has less alcohol, you believe one of the many myths about drinking. The truth of the matter is that a standard drink has the same amount of alcohol whether it is light beer, wine or 80 proof spirits. With the holiday season upon us, the parties, and family get-together's are in full swing. The party mood has taken hold, people tend to let their hair down and enjoy a few more drinks than normal. Having two glasses of wine is nothing to worry about, right? Many people believe men can have two drinks and women one and still be within the legal limit when they get behind the wheel of a car, it's much more complicated than that. There are many myths surrounding alcohol consumption and drunk driving, you could be breaking the law without realizing it. Rather than asking yourself how many drinks you can have before you go over the legal limit, rather ask yourself how many drinks you should have before your driving is affected? The answer to that is none. "The thought that you've taken or destroyed someone's life in a road crash could lead to psychological trauma even if you were within the legal limit". "Your conscience may keep reminding you that the accident could have been prevented if you'd been 100 percent alert and capable of taking preventative measures." Even though the “legal Limit ranges from .05 to .08 %/100 ml blood alcohol content these legal limits don’t take into consideration of how individuals will be able to handle their alcohol. Here are the myths that are just not true, more like urban legends, they don’t exist. Here is how to have a good time and be safe, all you have to do is apply some of these things to be sure you don’t get into trouble if you have been drinking. Please have a really fun Holiday season with all the parties you can find. The difference between going to parties and having fun and doing it safely is don’t drink and drive, it is really that simple. 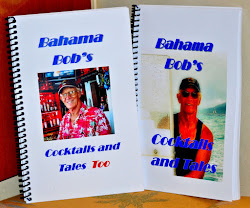 Hot Hawaiian Coffee Flavor without using any actual coffee, Bahama Bob's Cabin Fever splashes together flavors a Hawaiian Koloa Coffee Rum with the with Pilar Dark Rum and Vanilla yielding this wonderful dark elixir that will warm you from your nose to your toes. Served toddy style in a coffee mug, it’s topped with a cloud of whipped cream, lending this drink a silky texture with hints of a fine coffee house creation. Place all ingredients in a mixing glass and stir, pour into a Coffee Mug and top up with hot water. Garnish with fresh nutmeg and whipped Cream. St Johnsbury Distillery, formerly known as Dunc’s Mill, was forced to shut down over its name change. St Johnsbury Distillery, formerly known as Dunc’s Mill, was given a cease and desist order from the TTB, Alcohol and Tobacco Tax and Trade Bureau the federal agency that controls all distillery operations in the United States, last week. Skyler Genest, director of the compliance and enforcement division of the state Department of Liquor Control, says state licenses and federal permits are non-transferable. Genest says the distillery can reopen once it gets authorization from the federal Alcohol and Tobacco Tax and Trade Bureau. Here is some news that really makes me mad, more than 100 artists are pushing for a ban on the use of their material for karaoke. I guess that they don’t make enough for their effort and afraid that some bar singer might belt out a better version of their song. It is a sorry day to see this happening. It is my feeling that it is time to boycott the artists that that aren’t satisfied that they receive royalties for their works sung by karaoke singers even though they are not even a part of the performance. 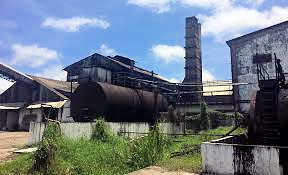 The Long Pond Distillery located in Clark's Town, Trelawny, Jamaica, resumed operations after being closed for four years. Mayor of Falmouth, Councillor Colin Gager said the reopening of the 264-year-old distillery is welcomed, and is important for the economic viability of the parish. Mayor Gager was representing Minister of Industry, Commerce, Agriculture and Fisheries Karl Samuda at the official recommissioning ceremony on Wednesday. He expressed the Government's support and commitment to the restart of operation at the distillery. The Long Pond Distillery which enjoyed a long and rich history dating back to 1753, has been closed since 2012 due to waste disposal issues. Chief Executive Officer of National Rums of Jamaica, Winston Harrison said 22 residents from Clark's Town are now employed at the distillery and the company is currently of completing several orders for Europe, including for their long-standing customers in Germany. Harrison said the distillery is a historical landmark in Trelawny, producing rums for some of the finest and renowned brands worldwide over the past two-and-a-half centuries. He said that during the four-year closure, the management of Long Pond worked with the authorities to ensure that the necessary practices and policies were put in place for the resumption of operations. “As an organization, we have taken all the necessary steps to deal with the disposal of waste issue. We now have the requisite approval to ensure that we can operate. 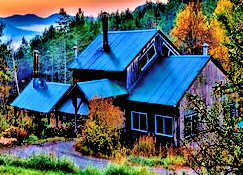 Essentially, the world is breathing a sigh of relief, Long Pond Limited is back,” he said. Andrew McBean, Process coordinator also expressed his pleasure at the reopening. Noting that “good things will happen for Long Pond and the citizens in and around will benefit” from Long Pond’s reopening. 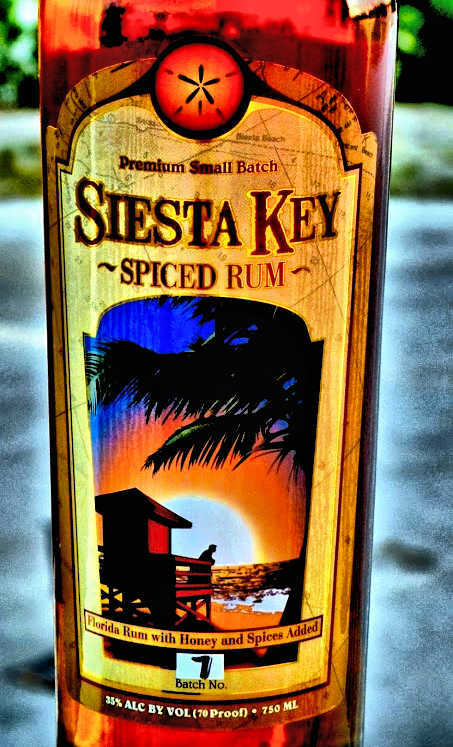 Drum Circle Distilling is going to need a spare room to show off all of the international awards Siesta Key Rums have won since it opened six years ago. 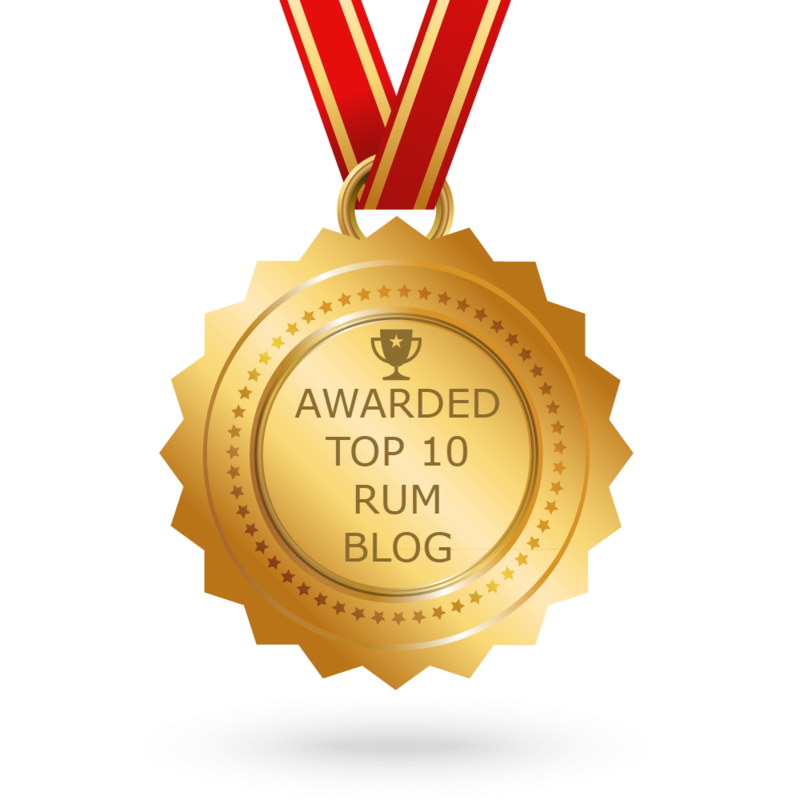 The latest of these is the Caribbean Journal’s Rum Awards 2017 where the won “Best Spiced Rum”. Congratulations to Troy Roberts and his crew for winning this award for the sixth year in a row. My friend Troy Roberts is one of the masters of innovation when it comes to spiced and flavored rums. His Toasted Coconut Rum is another example of his fine craftsmanship and innovative mind when it comes to rum making. Marta and I are Temporarily on our camper for the next couple of months. Sanity Too has been put on the hard for the next couple of months. She is getting some needed services and her Irma damage repaired. We are aboard Lil Sanity, our "camper" until the work is completed. Rum Journal’s Rum Awards is now in its sixth year, having grown into one of the world’s most important and influential measures in the rum category. And every year, the judging by the Rum Journal special panel of judges gets more difficult, as rum continues to grow both in diversity and quality. The most striking advancement of late has been the rum world’s renewed focus on the art of barrel aging, from special finishes to long-term aging. This year’s final judging, performed at the terrific Casa de Montecristo by Prime Cigar in Miami, was the product of a year’s worth of tasting and research that ultimately evaluated more than 200 rums from the Caribbean and around the world. The premium aged rum category gets almost exponentially more competitive each year, but this year an old favorite returned to take back the Rum Awards crown. 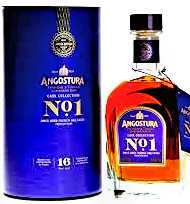 Trinidad’s Angostura No. 1 series, which won Rum of the Year with its first edition back in 2014, simply wowed this year’s panel of judges. This magnificent expression is the result of a blend of 15 casks aged for at least 17 years at La Favorite’s cellars on the outskirts of Fort de France, Martinique. The rum, a production of just 3,500 bottles sealed with gold-colored wax, is a tribute to the last harvest of venerable rummaker Andre Dormoy, then patriarch of the family that owns La Favorite. It’s an elegant rum with notes of pepper, cacao, licorice and apricot, and the latest example of the overwhelming quality and thoughtfulness of La Favorite. The Agricole of the Year. Rum Journal has long been a fan of now Key West-based Papa’s Pilar Rum, thanks to a decidedly drinkable profile. 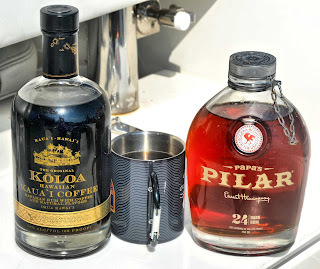 But the newest expression of Papa’s Pilar takes an already great rum and turns it into something more, thanks to an extra 30 days of final finishing in French Limousin Oak sherry casks from Spain. The result? A rounder, even better balanced Pilar with a richer, sweeter edge. This is as ultra-premium as a rum can possibly get. The just-released, out-of-this-world Rhum Neisson is the most perfectly harmonious rum you will ever taste, a symphony of flavor notes all playing together. This 1991 vintage is the championship work of a legendary distillery. Our new award for 2017 honors rum producers who are excelling in the field, whether by innovation, branding or pure quality. And Martinique’s HSE is doing so at all three, but with a particular skill in the art of barrel aging. No producer on the planet is looking at the science of barrels like HSE is, with a level of expertise and specificity that’s unmatched. 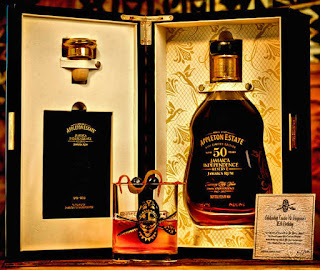 It manifests itself in a broad range of world-class rums, from special-finish agricoles using sherry, port and even whisky casks and even advanced techniques in selective barrel charring. They’re at the forefront of what’s possible in rum, and it’s an exciting thing to see..
Finding a drinkable molasses-based white rum is never easy, but the Bahamas’ John Watling’s Distillery has turned out an excellent product with its two-year-old John Watling’s Pale Rum. While it’s just about drinkable neat, it’s great in a mojito or a daiquiri. This boutique rum distillery on the Atlantic coast of Martinique is producing some seriously intriguing expressions after launching last year. The latest? This organic white rhum agricole made from a single variety of “blue” sugarcane grown on a specific portion of the plantation. A fascinating, raw, authentic white rhum. The Island Company has long been known for its Caribbean-style fashion. So when we read this fashion house was launching a rum, we were a bit skeptical. Consider us converted. This rum delivers the goods. The Trinidad-sourced rum is remarkably smooth for a mildly aged gold rum, with an exceptional drinkability, even neat. In other words, it’s the perfect rum enjoyed on an afternoon boat ride in a linen shirt. 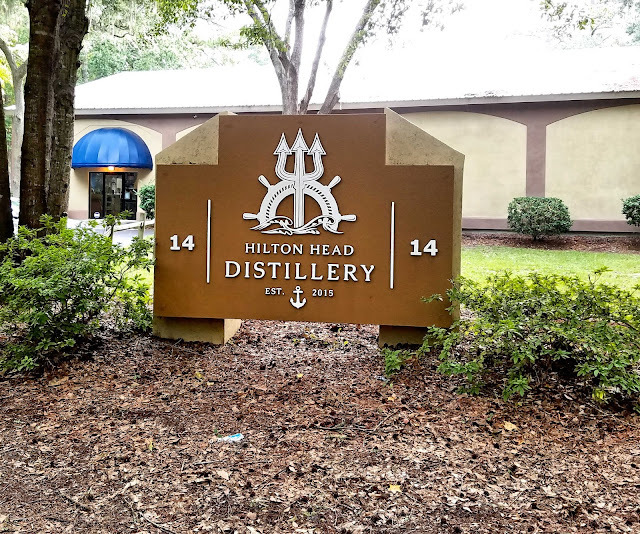 Only one rum company has ever appeared on every Rum Awards since its inception: Drum Circle Distilling, a Sarasota, Fla. -based boutique distillery that, simply put, produces the best spiced rum on the planet. 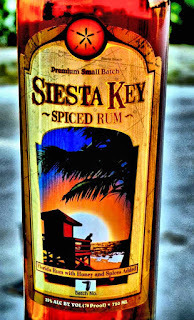 It’s called Siesta Key Rum, and its recipe of authentic spices and honey makes for an almost impossibly delicious expression. Produced at the venerable River Antoine distillery that dates back to the late 18th century is a local favorite that lives up to the hype. Bottled at 69 percent ABV, it’s a robust but smooth expression — just don’t bring it with you on the plane. Martinique has long been at the forefront of bottle design in the rum world, but we simply love this year’s lush, rainforest-inspired bottle, a nod to the company’s home at the base of the Mont Pelee volcano. 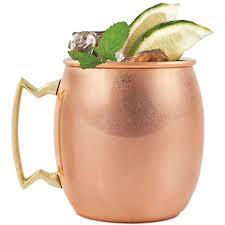 (There’s also a world-class white rhum inside). It’s the Caribbean’s newest rum bar, but it’s already right at the top of the pack. The new Rhum Room in Gustavia, St Barth, which had its soft opening this month, is already home to the single-largest rum inventory of any bar in the Caribbean, with more than 400 rums, and it’s just the beginning. Even better? Its not just about supply – this is a full-fledged speakeasy accessed through a kitchen door of the 25 Quarter bar. It doesn’t get any better. 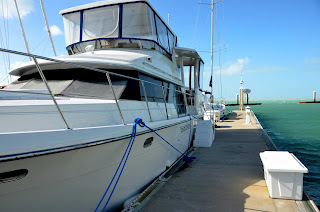 This morning Marta are moving off of "Sanity Too", our boat that we have called home for the past 12 years. 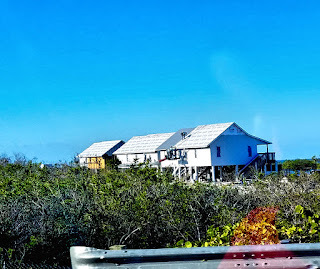 For the next five weeks or so while she gets the damage she incurred during Irma repaired we will be living on "Lil Sanity" our "camper" This is going to be very interesting, we are having to seriously down size our lives while we are aboard the camper. I'm really glad to be able to finally make the front of the line at the boatyard and she will finally be repaired. Although she has operated like a champ all during the three and a half months since the storm. 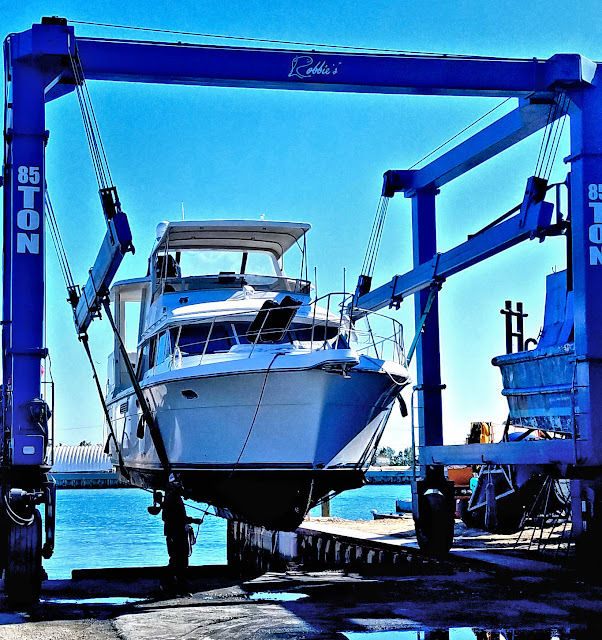 The visit to the boatyard will ring her back to her beautiful self again. It is going to be worth the inconvenience of living on the smaller boat to be able to board her again and see all her rails back on and the external damage repaired and fresh gelcoat where she has been scarred. Once she gets back in the slip she will get her new outside vinyl windows and screens that were torn off by the storm and she will be complete and whole again. Wish us luck, if we don't "kill" each other in the confined spaces our life will be whole again when she returns and we can move back aboard. This month Trader Vic’s in Emeryville, CA celebrates its founder Vic Bergeron on his 115th birthday, December 10, with a very rare and special Rum Old Fashioned cocktail, Vic’s favorite! The cocktail is made with 50-year-old Appleton Estate Rum and served in a limited edition glass created just for the occasion. Each of the keepsake glasses is numbered along with a letter of authenticity to make it that more special. The cocktail is currently only available at the Emeryville, California location for a mere $1210.00. 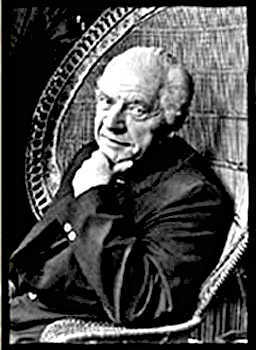 December 10, 2017 marks the 115th anniversary of the birth of Victor Jules Bergeron, the creator of the Trader Vic’s chain of restaurants that originate in San Leandro, California. This entrepreneurial restaurateur who is indelibly linked to Polynesian-themed rum drinks, including the Samoan Fog Cutter, the Tiki Puka Puka, and the Zombie. But Trader Vic’s most original and internationally celebrated libation is the Mai Tai, even though he had some help in naming it. Victor Bergeron in November 17, 1934, using $500 in borrowed money, opened a small bar and restaurant across from his parents' grocery store at San Pablo Avenue and 65th Street in the Golden Gate District in Oakland, California. He named it Hinky Dink's, as its popularity spread, the menu and decor developed an increasingly tropical flair, Soon the name was changed to Trader Vic's. By 1940 the first franchised Trader Vic's opened in Seattle, Washington. In 1950, Bergeron opened a Trader Vic's location in Hawaii and in 1951 in San Francisco. The legend of the Mai Tai and of Trader Vic had its beginning in 1934, when, during a trip to Havana, where he discovered rum, or more importantly, rum cocktails. Upon his return to the rollicking saloon he owned in Oakland, California called Hinky Dink’s he started making daiquiris, mojitos, and Planters Punch, but often with a little extra rum-tweaking. 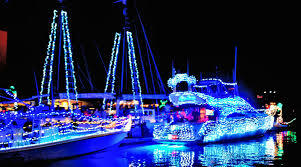 This Friday is the Key West Lighted Boat Parade an annual affair that is combined with the Harbor Walk of Lights celebrating the Christmas Holiday. 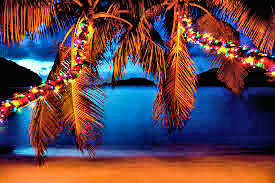 Each year a variety of boats decorate their sails, masts and hulls with Christmas Lights and festive cheer. There is an official judge’s stand along with a serious competition for the Best Nautical Holiday Decorations in Key West. 2017 will mark the 27th annual Key West Lighted Boat Parade. The judge’s stand is located at the Schooner Wharf Bar & Galley, and the lighted boat parade travels through the Key West Bight. On Friday, festivities will start at 6:00 p.m. with the children of the Gerald Adams Elementary Steel Your Heart Band and House of Pan Steel Drum Band of Bahama Village are starting the evening’s magic! Then the Parade starts at 8:00 p.m. Vessels of all shapes and sizes will dazzle the crowd. 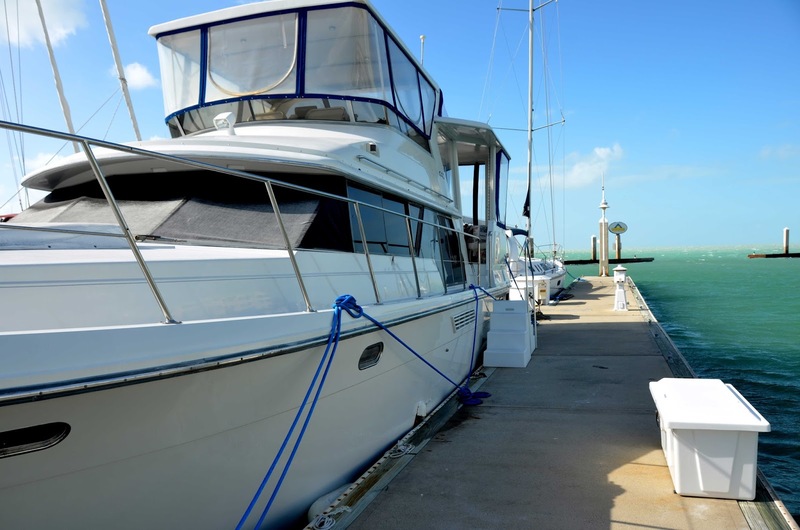 The judging stand is at Schooner Wharf Bar and is the best place for viewing! Come early to get an up-close look at all the beautiful vessels and take a stroll along the Harbor Walk of Lights. This new expression is Distilled, blended and bottled by Koloa Rum Company Kalaheo, Kauai, Hawaii. 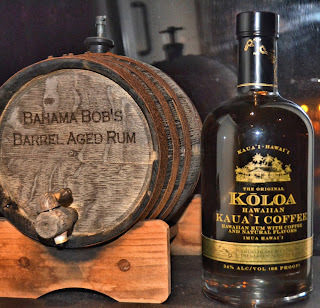 The new Koloa Coffee Rum is made from the mash of raw Cane Sugar, distilled in an impressive vintage 1210 gallon steam powered copper pot still and cut to proof with filtered water from the ancient Mount Waialeale. The Spirit itself is a collaboration between the Kauai Coffee Company and Koloa Rum Company. The Koloa Coffee Rum offers a deep brown opaque hue highlighted by a light mahogany rim of highlights. Swirling this rum in the glass reveals a small amount of real coffee particulate gathering in the amber legs moving slowly down the sides of the glass. The aroma of freshly brewed Aribica and Robusto Bean coffee. There are notes of molasses and rich dark chocolate to lead you into this exciting expression. This intensely rich coffee flavored rum exudes an amazingly complex flavor profile, initially there are highly robust espresso coffee notes that are balanced with sweetness to carry you to your favorite coffee shop. Initially it presents itself as an espresso cocktail and then it takes you home with a dry finish of light vanilla with hints of chocolate and coffee flavor. Additional sips of Koloa’s Coffee Rum exhibits hints of tropical fruit and a long finish highlighted by hazelnut and stone fruits. 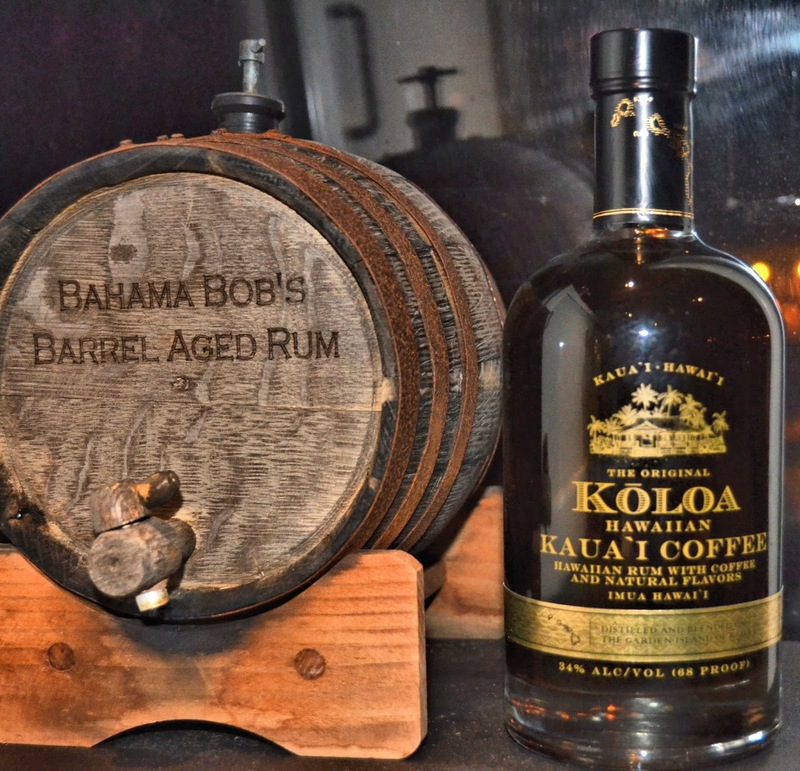 Koloa Coffee Rum is presented at an impressive 34% ABV or 68 proof, following the rum being distilled two times. This is a nice product with a good natural flavor that will keep you coming back again and again. Will This Battle Ever End? 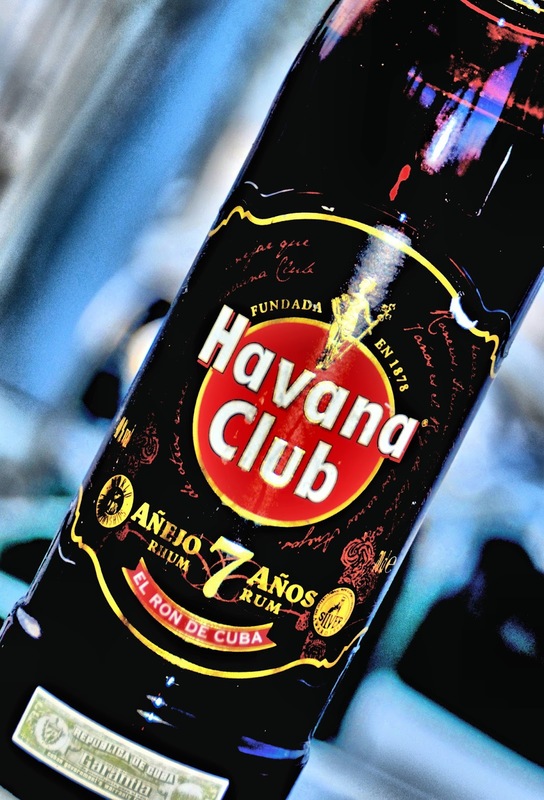 Pernod Ricard has accused Bacardi of making “misleading statements” with the introduction of its new “Forever Cuban” campaign for Puerto Rico-made Havana Club rum. 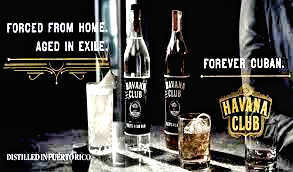 These two competitors have been this what seems to be a forever lasting trademark battle over the Havana Club brand. Bacardi produces a expression of Havana Club rum, created in Puerto Rico to be sold in the US, while Pernod Ricard owns the international rights to the Cuba produced Havana Club brand that is sold to the rest of the world. The United States has still got a ban on Cuban products being brought to the United States and this is the real Issue, because Bacardi owns the trademark for the United States. February 2016, the US Patent and Trademark Office did overturn a Supreme Court decision and gave Pernod Ricard the trademark for the next 10 years. This is what set off the latest rounds of the battle and what looks to be another lengthy legal challenge for Bacardi. Tensions have come to the surface once again with the launch of Bacardi’s “Forever Cuban” campaign. Experiences of Cuban exiles at the center of the campaign along with the use of Cuban-American actor Raúl Esparza are all causing the rift to become larger. 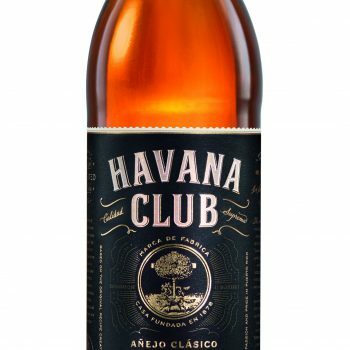 Havana Club International is holding firm when it comes to the authenticity of its rum portfolio, including white, dark aged and premium rums, all exclusively produced in Cuba. Pernod Ricard and Havana Club International make it clear that “Havana Club rums are distributed globally except in the USA, due to the ongoing trade embargo. “The Cuban Havana Club rum, produced through a joint venture between Cuba Ron S.A. and Pernod Ricard and crafted in Cuba, from local sugarcane to the glass, with the knowledge and expertise of Cubans that has been passed down from generation to generation of Maestros del Ron Cubano. Bacardi has issued a statement in response to Pernod Ricard 's Statement about Bacardi's accuracy. “In 1959, the Castro regime seized the assets and confiscated the distillery of the Arechabala family, the original owners of Havana Club rum,” the spokesperson continued. “But, they could not steal the Arechabala’s recipe or strip the family of their soul, which is rooted in the craftsmanship of their product and solidifies their continued family legacy. “After the Cuban regime unrightfully and forcefully confiscated the brand from the Arechabalas, Ramon Arechabala personally transcribed the recipe and gave it to Bacardi as an agreement between the two families – both of whom were exiled from their homeland. “The ultimate convergence of two Cuban families coming together to continue an iconic brand’s legendary heritage with an authentic product, Bacardi is committed to continuing this legacy. 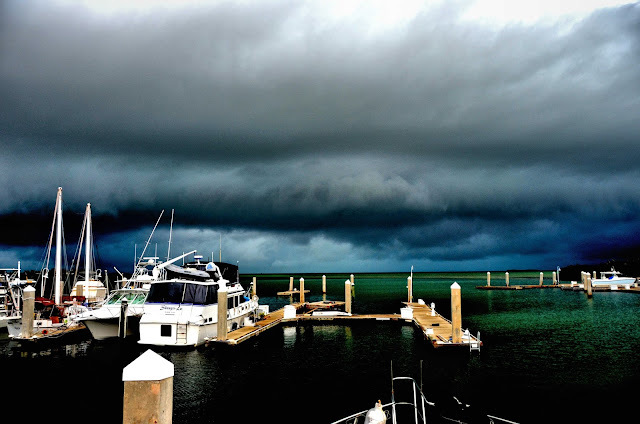 I hate it when you guys up north start getting snow, because when that cold front comes through down here in the Keys, it translates to a day of ominous clouds and temperatures down in the Sixties. This is not what the tropical life is suppose to be all about. Mid Seventies are wonderful, but without heat in the house or in my case on the boat, it is time for fleeces and other warm things and for the most part staying inside out of those "raw" winds. Enjoy your snow, but in a couple of days we will be back in the mid Seventies again and we all will be smiling again. Lawmakers in New Jersey have proposed a bill that would make it illegal to operate a done while under the influence of alcohol in a bid to reduce irresponsible use of the remote-controlled devices. If passed, the bill would prohibit the use of drones under the influence of drugs or alcohol, or using a drone to harm wildlife or endanger people or property. 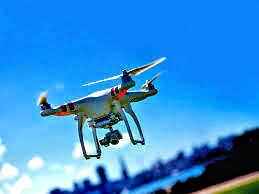 Just think, it can be just as expensive to sit on your patio having a few beers and be arrested for flying your drone. WOW, or toys are finding more and more ways to get us thrown in jail. The bill would also make it a fourth-degree crime for drone operators to interfere with emergency services, or endanger the security of a correctional facility. The bill, which passed out of a New Jersey assembly committee on Monday, will go before the full senate on Thursday. Such crimes would be punishable by up to 18 months in prison and a $10,000 fine. “This bill sets specific guidelines for how New Jersey’s residents will be allowed use these devices and to establish some order, to prevent many of these dangerous situations.” Consumer drone sales in the US has increased exponentially over the past few years, and not expected to slow down in the near future. The Consumer Technology Association projects drone sales will pass the $1 billion mark by the end of 2017. Most of drones sold weigh less than 0.55 pounds, the limit before registration is required with the Federal Aviation Administration. Hilton Head Distillery in Hilton Head, South Carolina is using a unique water supply for its rum and vodka making. They are condensing the water from the very humid air around the distillery and then using it to proof their spirits down to bottling proofs. Their Aermoor Vodka is handcrafted from fresh molasses, it is then distilled 49 times before being proofed down with water sourced directly from the clouds above Hilton Head Island. 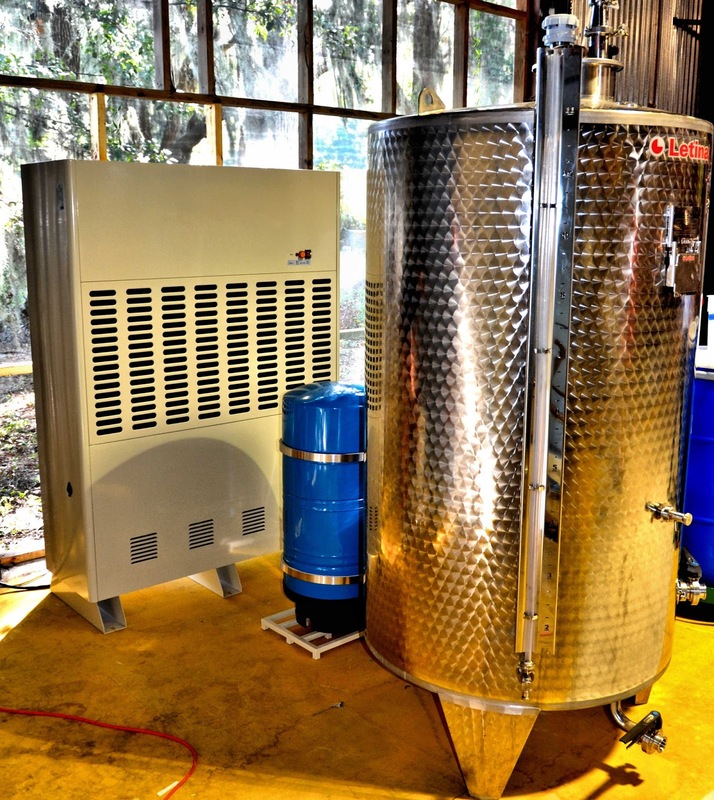 The process created by Fenten, uses an atmospheric water generator. 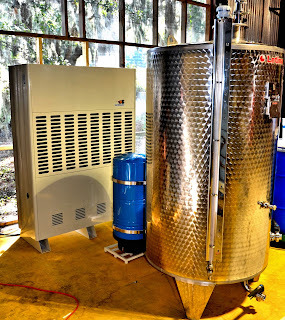 This is one of the most unique ways to make the pure water needed to proof down spirits anywhere and offers a very special cleanness to all of their products. This is my annual plea for everyone going to or having a holiday party this year to be aware of the potential for serious liability. 'Tis the season for holiday parties, but there are risks to hosting these parties. Parties can boost friend’s morale, however, there are inherent risks that accompany hosting this type of party, particularly during the holidays and when inhibitions are lowered with alcohol and a festive atmosphere. Here are some tips to avoid legal "hangovers" from hosting holiday parties and mitigate the risks to you and your friends. The host should encourage responsible drinking, use of designated drivers and public transportation options. 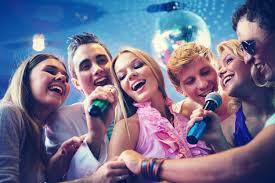 The possible of a place for guests to stay if they have had too much party to get home safely. One of the simplest ways to mitigate risk is to avoid serving alcohol at all, but alcohol should be served only by professionals who will check IDs and respond appropriately to guests who may be consuming excessive amounts of alcohol or drugs. The event should have a definitive start and end time. This also provides an opportunity to reiterate the message to travel home safely and lay out alternative methods of transportation/lodging rather than driving under the influence. While following these tips cannot guarantee an issue-free event, it certainly can reduce the risk of having troubles that come back to haunt you afterwards. With careful planning and oversight, it is possible to have a great and fully appropriate office party. Here is to all of you having really fun holidays, and the fun staying inside and off of the streets where your parties can be ruined in a heartbeat and leave you with some awful legal hangovers. 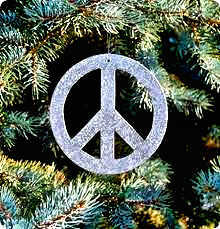 Have a great time and be safe. Cheers! People forget just how different alcoholic beverage sales is from the bulk of consumer products. Alcohol, beyond the fundamentals of age restriction and tax collection, the public is barely aware of how deeply and disparately alcoholic beverages are regulated. There isn’t anywhere that this is more evident than with shipping. Americans can order clothes, send gifts, and by just about anything on the internet, parcels are dispatched with minimal ado and delivered to your place. Those of you that are used to instant gratification, purchasing of alcohol on line is the very frustrating exception. Sending a bottle of local gin home from vacation or ordering vintage Champagne for an anniversary can be complicated if not impossible. Unfortunately, this usually happens at the retail outlet, leaving the merchant responsible for explaining why this problem exists. Here are the legalities of getting alcohol from one place to another, to help retailers get the options across to their customers. Carrying alcoholic beverages on a plane with you is doable, but you must follow the TSA rules. Airline passengers are familiar with the 3.4-ounce TSA rule for all carry-on liquids including alcoholic beverages, full-size bottles need to be in checked luggage, but there are some restrictions to that as well. As far as your carry-on luggage, you can place all of the 3.4 oz. bottles of alcohol you can fit in a one 1-quart plastic bag. In your Checked luggage, anything under 24% or 48 proof, alcohol is unlimited, anything 24% to 70% or 48 to 140 proof alcohol is limited to 5 liters per passenger. Any alcoholic beverages over 70% ABV or 140 proof is absolutely prohibited. All bottles must be unopened. Duty-free is the exception to these limits. You should be aware that TSA and customs are totally separate entities, passengers should check customs limits set by the country they're entering, or be prepared to pay duties on their purchases. Many times this amounts to a dollar or so per bottle, but if you are bringing in a very special spirit that can’t be obtained at home, this is a small price to pay. On an interstate train, there are no restrictions on carrying unopened containers of alcohol. 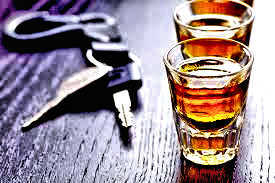 Control states have laws that forbid the transport of alcohol across state lines in your car. For instance, there is a discount liquor store just across the state line between North and South Carolina that the North Carolina Police will take the license plate numbers of customers and the police will watch for the cars to cross into North Carolina and bust them for “bootlegging”. This is an example of the ends that some states will do to protect their revenue, but most of these laws are primarily to discourage purchasing large quantities of alcohol in a neighboring state where taxes are lower. If you are planning to drive across state lines with a "personal quantity" of alcoholic beverages should use common sense, making sure the bottles should be unopened and in the trunk. How many times has a customer carefully picked out the perfect gift bottle, then asked if it could be mailed? The real question here is "where is it going". It is not legal for consumers to mail alcohol themselves to a U.S. destination, via any method. 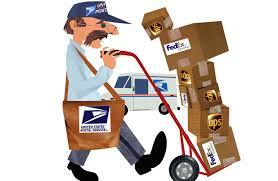 The United States Postal Service and the common carriers like UPS, FedEx etc. will refuse to take any such parcel known to contain alcohol. If the destination is outside the country, shipping is legal, but you should check with customs of the destination for their regulations. Retail shipping is a real nightmare. While most states allow licensed state retailers to ship to other state customers within the same state, most do not allow any interstate retailers to ship in. 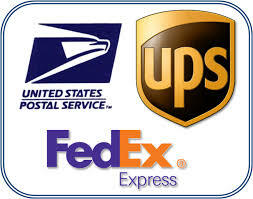 The regular carriers like FedEx and UPS have recently stepped up enforcement of retailer shipping laws, and ship only to the states that allow it. If craft makes of beer, wine or spirits hope to compete with world-wide operations like Amazon, they will need to start to push for the change of rules in more states to allow legal retailer to consumer shipping of alcoholic beverages. This is very clearly the only that the “shipping lanes” can be opened up in the future.